Blend the best of this bridal season’s ultimate trends by wearing a gown that incorporates them all… Our Lydia wedding dress by Sottero and Midgley features a romantic keyhole back, intricate beaded lace, and a tulle A-line skirt. 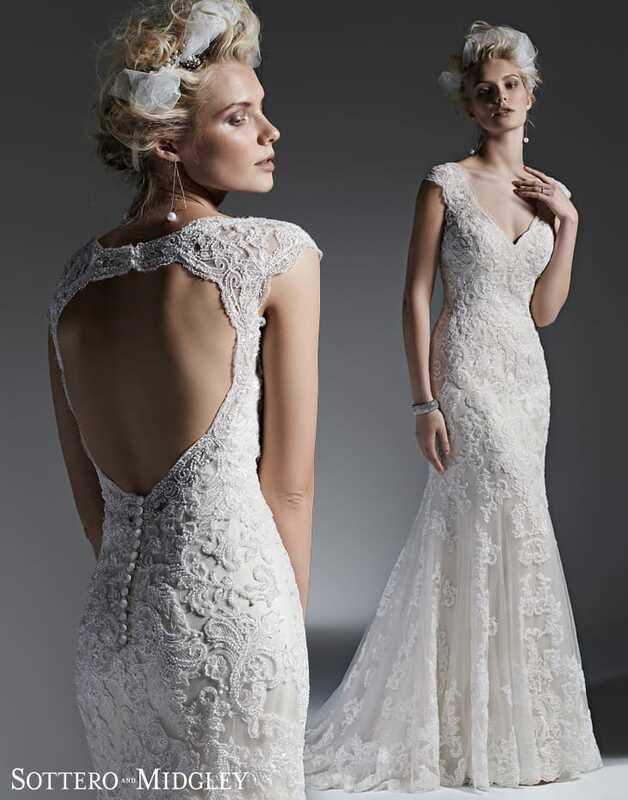 Other details we love include the dramatic v-neckline and the illusion lace edging the keyhole back. Lydia is the perfect fit for either an elegant and classic affair or a romantic garden wedding. With its natural fall and impeccable fit, this wedding dress will show off your bridal beauty and your feminine figure from day to night. 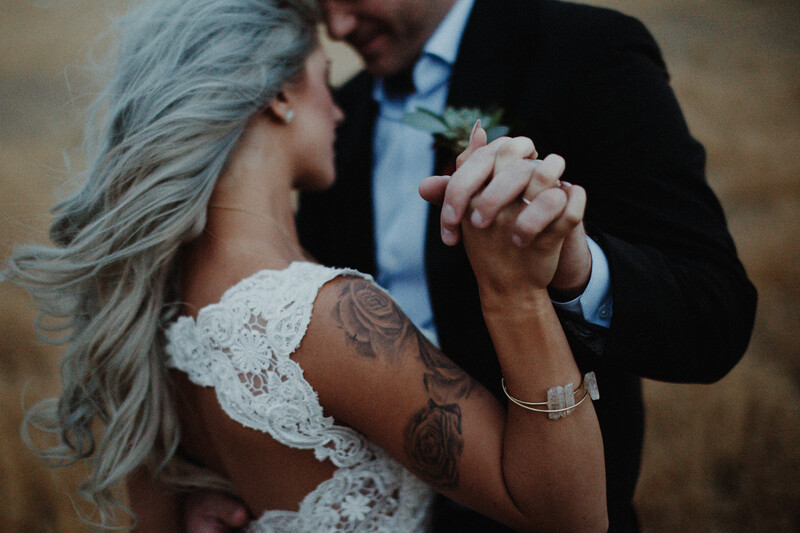 Instead of a necklace, opt for a pair of sparkly drop earrings to focus all of the attention to your wedding day look and your dress.